New DollyCrane Accessories for 2015! 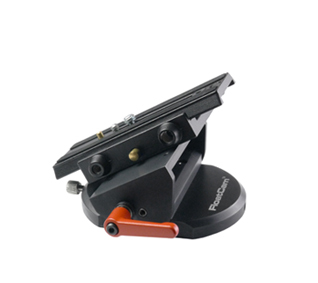 We’ve introduced some new accessories for your DollyCrane to make it even more flexible and practical. Low Profile Tilt Plate: For when a fluid head is too tall and you want a fixed camera angle this tilt plate is a great addition to any DollyCrane kit. Fits directly onto the shuttle. Flatbase adaptors for Sachtler, Vinten and O’Connor fluid heads: In order to keep the CG as low as possible you can now add one of these flat base adaptors to your head of choice for use with your DollyCrane. Available for the Sachtler V18 & V20, Vision Vision and O’Connor 1030. Prices from £120 + vat & delivery. 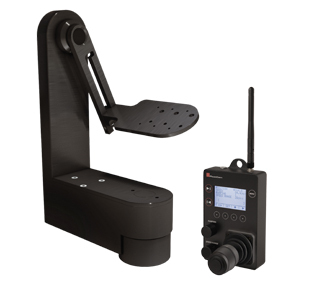 Coming soon: RF Pan/Tilt head: Works as a remote operating head or in conjunction with the Floatcam MoCo system.